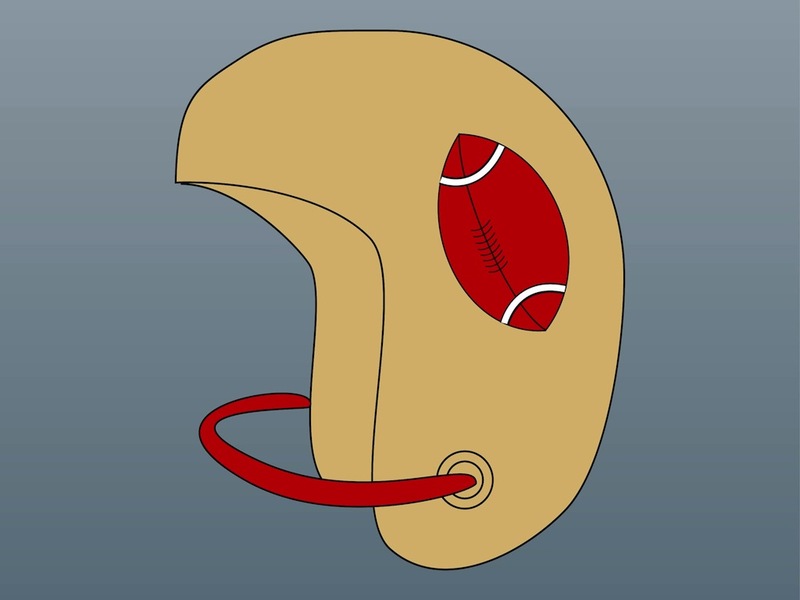 Cartoon style vector illustration of a protective accessory for playing rugby or American football. Rounded big helmet with a strap in the front and an elongated ball illustrated on the side. Free vector illustration for all your sports, games, American football, protective gear and head protection design projects. Tags: American Football, Ball, Helmet, Protection, Sport, Strap.